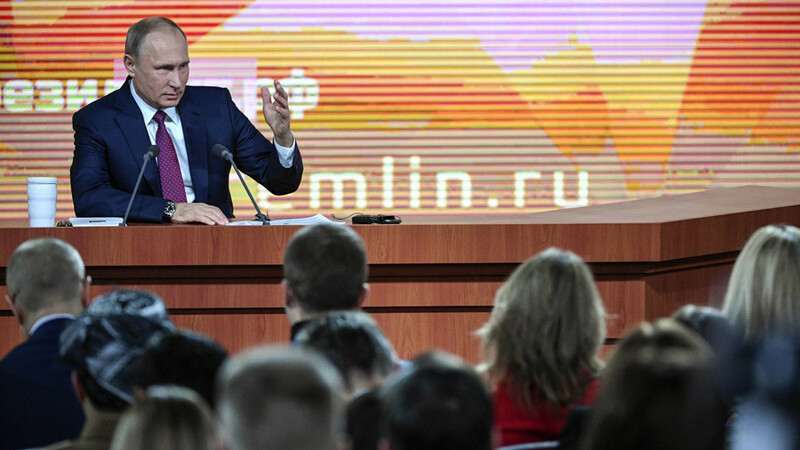 President Vladimir Putin has held his annual end-of-year press conference, where he discussed a range of domestic and foreign policy issues, including relations with the US, the situation in Syria and the upcoming Russian presidential elections. Note: These comments are updated live and are the closest approximation to the statements made. They may be edited or updated later to reflect more accurately what President Putin said. At just under the four-hour mark, it's announced that Putin is scheduled to meet 'Heroes of Russia' at the Kremlin at 4pm, so proceedings must be brought to a close. 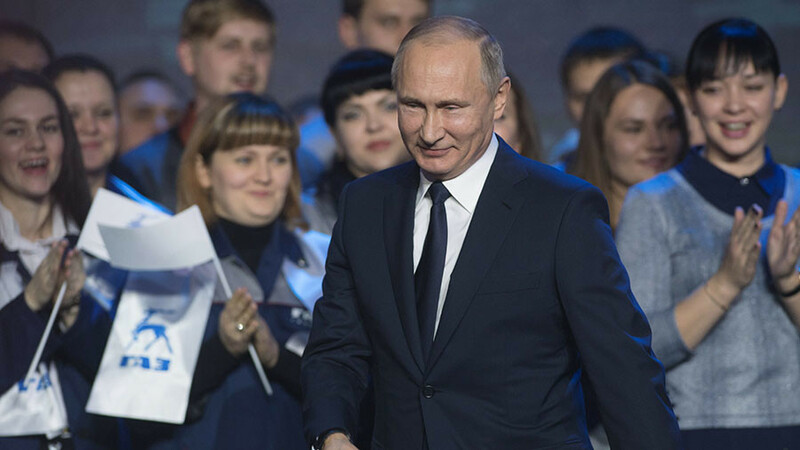 Putin closes by wishing everyone all the best for the new year and holiday season, and thanks the media for their work. A question comes from Kazakhstan about cooperation with Russia. Putin notes digital technology cooperation is as important as other areas such as energy. It's been 3hr33mins. When are people going to collapse from exhaustion? 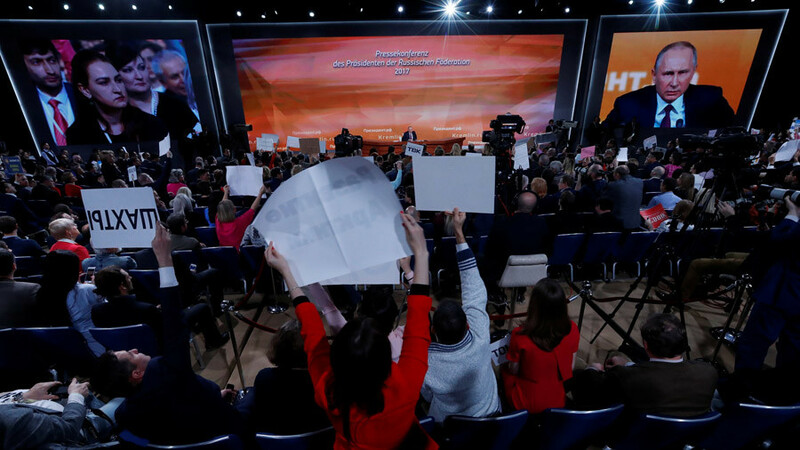 A participant from the Far Eastern city of Vladivostok asks Putin about the development of the region, including the distribution of free land. Putin laments the abuse of the scheme by some, but says things are being "put in order" in the Far East regarding criminality in general. He also promises to look into the situation with a local sports center - showing a typical attention to detail. Putin asks for another question on children. A journalist from Grozny thanks Putin for his help in rescuing children who have been taken to conflict zones. "Should children and mothers be given the chance to return to normal?" the journalist asks. "[Chechen leader] Ramzan Kadyrov has taken the right approach in this respect," Putin says. "These children and women should be welcomed back." The next question is about abortion in Russia. "Is the government willing to help the pro-life movement?" Putin is asked. "I'm grateful for you to ask about this, it's important," Putin says. "I'll repeat what I said at a recent meeting. As far as abortions, in most modern countries today, it is up to the woman to make this decision. "If there was a total ban, we'd eventually have a criminal trade in this - women would go abroad, there would be illegal abortions... it does immense damage to women's health, so we have to be careful. 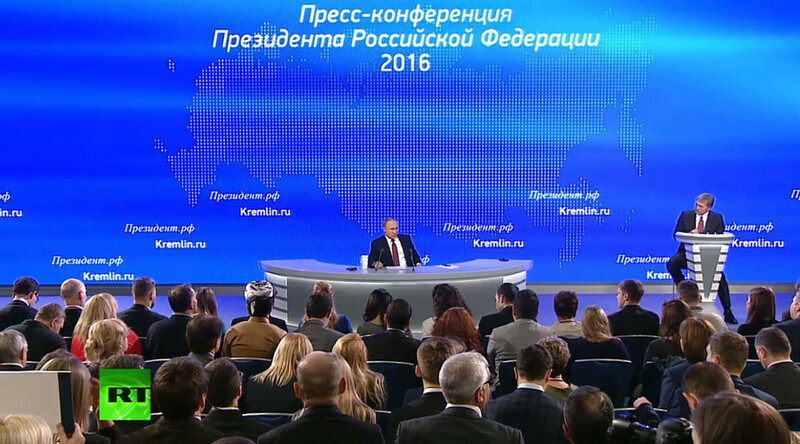 "We are willing to support pregnant women, of course," Putin adds. The president then lists new plans for benefits for families with children and maternity benefits. An Afghan journalist asks about the recent Putin-Trump call on the country. "What are the prospects of working with the US in Afghanistan?" he asks. "This is one area we could unite efforts with the US," Putin says. "We see a growing terrorist threat coming from Afghanistan... groups are taking more territories in the north, near Tajikistan for example, where we have a base. "We are ready to provide support to Afghanistan... including to combat the production of drugs that end up in Russia. "We're ready to work with the US on these issues." A series of questions on Russian oil. One journalist says there is a "selective approach" on oil resources - claiming Putin ally Igor Sechin, head of Rosneft, is the beneficiary of the main decisions in this area. Putin notes that the Ministry of Energy makes these decisions, not him personally. A question on Iraqi Kurdistan and relations with Russia. 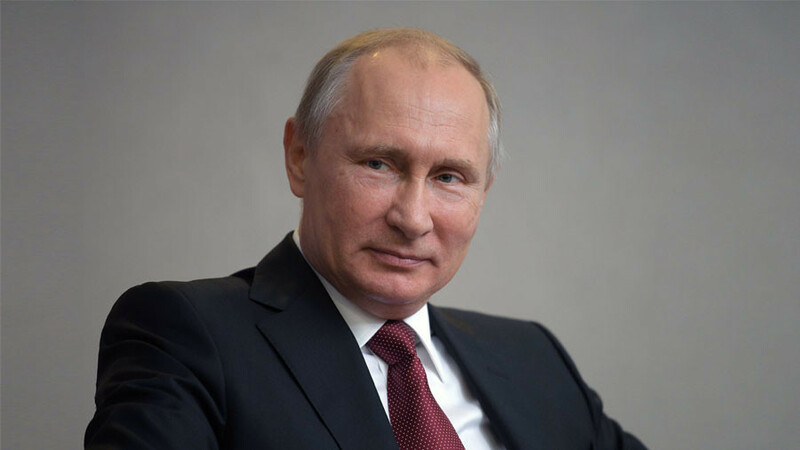 "The Iraqi Kurds had a referendum on independence... the leader then said the decision should be delayed... that was not our decision," Putin says. "We believe there should be no drastic moves... you need to respect the position of Iraq. "Russian companies operate there... overall we've had good, trustworthy relations with the Kurds," Putin adds. 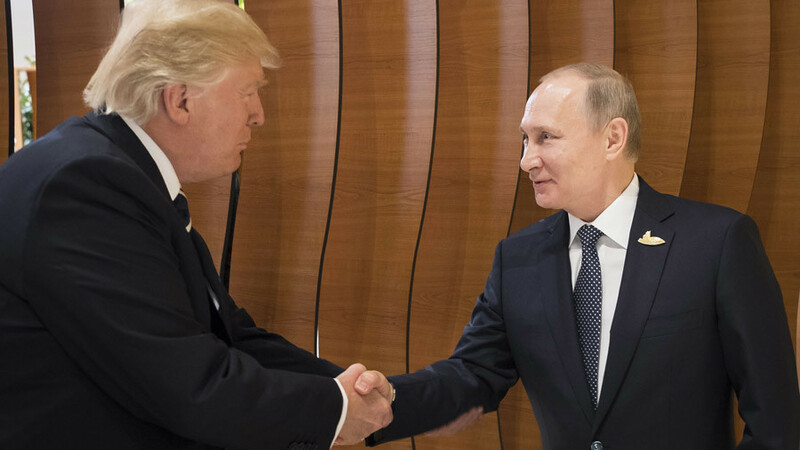 On relations with the US president, Putin says: "I'm on good terms with Trump... I think we'd use what you'd refer to as the informal way of addressing each other... I hope that gradually he will have more opportunities to improve ties with Russia, and fulfill his election promises in this respect."